With so much to see and do in London, your visit can take a lot of planning. That’s why millions of visitors each year opt for convenient sightseeing tours. Guided tours mean you have to plan as little as possible about your visit to the big city; all you have to do is turn up on time with your ticket. 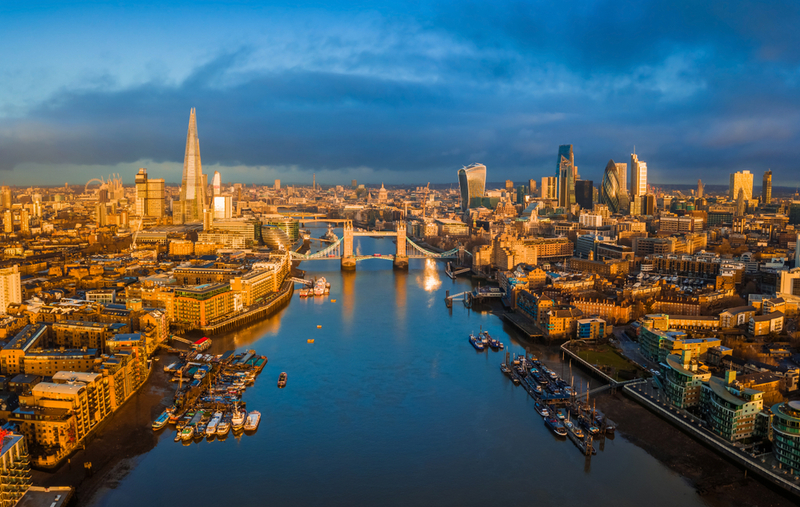 Tourists and locals alike love these sightseeing tours as they give the opportunity to discover more about London and gain all the information you need while being transported to notable sights and not-to-be-missed locations. Whether you’re a foodie looking to discover the best places for afternoon tea in London, a cocktail aficionado hoping to discover your next favourite tipple or a history buff in need of knowledge, you’re sure to find a sightseeing tour that tickles your fancy. Popular and mainstream tours are all well and good, but why not choose something a little different? Here are our picks of London’s alternative sightseeing tours. Do you like colour? Do you enjoy meeting like-minded and creative people? Do you want to experience new things? Over the past few years, colour enthusiast collective In Colourful Company has been meeting up in various cities across the UK and touring their most colourful beauty spots. Whether it’s rows of painted beach huts, a terrace of beautifully coloured houses or walls adorned with artwork, murals and graffiti, In Colourful Company’s Colour Walk will allow you to head on an Instagram-worthy walk that will get you snapping. Each month they meet in a new city, and London is a favourite, so look out on their Facebook group to see if their next tour coincides with your visit to our Chilworth London hotel. The Alternative London Walking Tour does what it says on the tin! If you’re looking for somewhere different to learn about the London you don’t always get to see, head over to the Alternative London Walking Tour. This guided tour will show you some of London’s most spectacular alternative street art and clue you in on the stories behind many of London’s most well-known works of urban art. The tour gives a picture of what life is like in London for street artists and also touches on many aspects of London’s alternative art history. A great way to see a different perspective on London, the Alternative London Walking Tour starts in London’s Liverpool Street Station, just a 25 minute Tube ride from our Chilworth London hotel and finishes… wherever the night takes you! Depending on who you ask, London is one of the most haunted cities in the world. A Ghost Tour is a popular way to explore the darker and more mysterious side of any city, and you can do so on one of The Ghost Bus Tours. These delve into London’s murky past, all from the comfort of a black vintage London bus. If you’re a fan of history with a spooky edge, a Ghost Bus Tour is your perfect way to see the city.